We build lasting relationships with our customers. Call for truly personalised service from London’s friendliest engineers! Get the right solution at the best value. No up-selling, no surprises at the end. Just long term peace of mind. 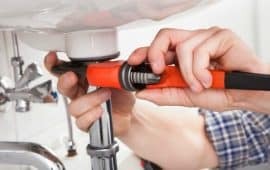 We have a wide skill base within the Company and are able to offer all types of general plumbing work, both in the installation and maintenance sectors. 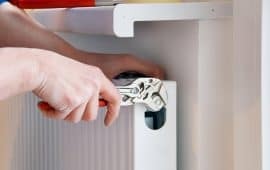 Best Boiler Repair can offer a full range of services and advice to fulfill any project you have in mind regarding your domestic heating requirements. We offer a full bathroom installation service. We can help with other services if required such as electrical and building works. Please contact us to arrange for a free quotation. We are experienced and qualified to install, service and repair a wide range of underfloor heating systems, linked to gas, oil and solid fuel installations, including air source heat pumps. We have a wide skill base within the Company and are able to offer all types of Plumbing & Heating work, both in the installation and maintenance sectors.We can offer a full range of services and advice to fulfill any project you have in mind. We are Gas Safe Registered Engineers who are experienced and qualified to install, service and repair a wide range of domestic and commercial gas appliances involving associated pipework, as well as providing annual Landlords Gas Safety Inspections in line with legal requirements. We are a truly local plumbing and heating company.This means no matter where you are, you can be confident that our engineers will be dispatched to your home as quickly as possible. We treat every call with the same level of urgency and work around your schedule. A leaking boiler or faulty central heating can increase your energy bill. We don’t want you to be paying more than you need. That’s why we provide comprehensive inspections that identify the source of the problem, so we can recommend the most cost effective solution that will help your system work more efficiently and save you more energy and money in the long run. 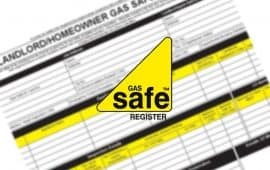 Our Engineer has been a Registered Gas Engineer with CORGI for 20+ years (even before it was mandatory to become a member) and with The Gas Safe Register since the beginning. We have been in the Boiler Repair business for over 30 years. During 30+ years, we have not only been installing boilers but we also designing and installing the best boiler that fits the purpose the best. Our engineers also have been installing bespoke heating and hot water systems that we designed. Call today on 073 7586 3320 and enjoy long term peace of mind much sooner! We are available to deal with all your problems 24/7.